Our 2011 Ford Mustang GT Coupe has a vivacious 5.0 Liter V8 connected to a fun to drive 6 Speed Manual transmission with adept handling abilities that will please more performance-oriented buyers, but you will have to slide behind the wheel to feel the true power, the soft ride, and the pleasant feel. That is of course if you aren't still marveling over the true beauty of this Mustang, the feel of the wheel, while also sporting ample convenience features that will lure the luxury car crowd. 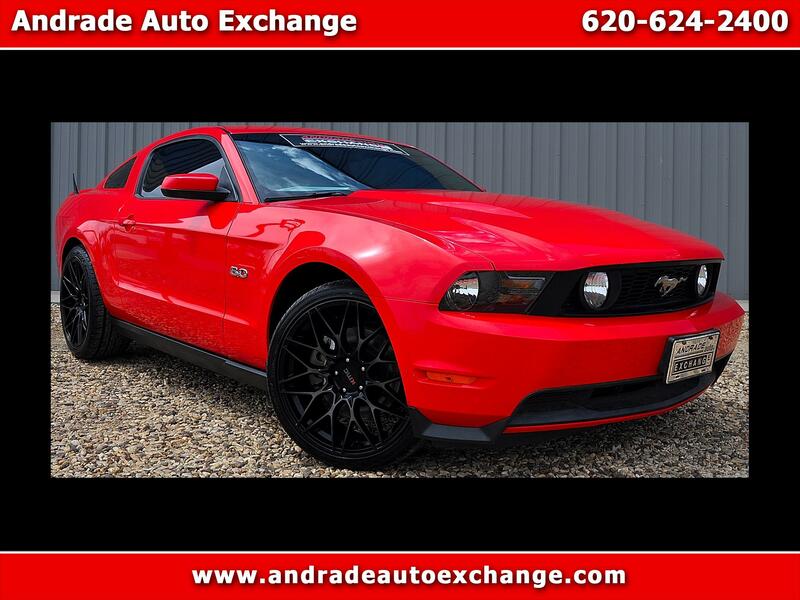 Our GT Coupe will turn heads and make you smile as you are taken back to those childhood dreams of driving a 'Stang! In typical Ford style, this Mustang offers cutting-edge safety, conveniences and tech amenities. Check out the features list and the pictures. You will immediately fall in love with the leather interior, heated front seats, great sounding audio system, leather wrapped multi-function steering wheel, and much more! Can you say "Gone in 60 Seconds"? This is a truly beautiful car that most people dream of owning or at least driving! All the standard safety equipment is on board to help keep you safe and secure on the road. Our Mustang is waiting to be yours! Print this page and call us Now... We Know You Will Enjoy Your Test Drive Towards Ownership!